Credit card processing is confusing. The huge corporate processors make it difficult to understand exactly what your rate is and what fees are associated with accepting credit cards. What we can provide you is clarity of your statement, and overall how your merchant account works. Our team cares about customer service and will take the time to explain how everything works. We believe that when you get your statement every month, you should understand every item, and it should match what you were promised in the sales process. If you have a question, MerchantsXL will have a live person ready to assist you. 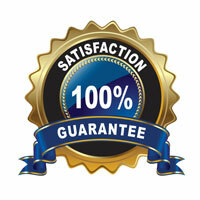 If you have a problem, we will make it right, guaranteed. It sounds simple, but so many payment processing companies just don't get it. You might have used them before. Some of our clients tell us they have been through five or more merchant services companies. Our promise is that this will be the last time you ever have to switch. Great service, great rates, great people. That is what you can expect from us - nothing less. At MerchantsXL, we believe in under promising and over delivering. The numbers we provide our clients, and potential clients, are what you can expect to see on your statement for the life of your merchant account with us. As a merchant services provider, MerchantsXL is 110% dedicated to driving value and excellence to all of our clientele, as well as the entire merchant services industry. We do so through technology innovation, our excellence in service, and ensuring that we are staying out in front of the industry by excelling at everything we have the ability to provide. At MerchantsXL, our passion is to work as a team and deliver uncompromising quality in a comfortable environment. Our merchant account process is straight-forward and to the point, providing a refreshing approach and overall experience for each of our clients.